It’s official, summer has arrived with its long hot days, swimsuits, and sunshine. 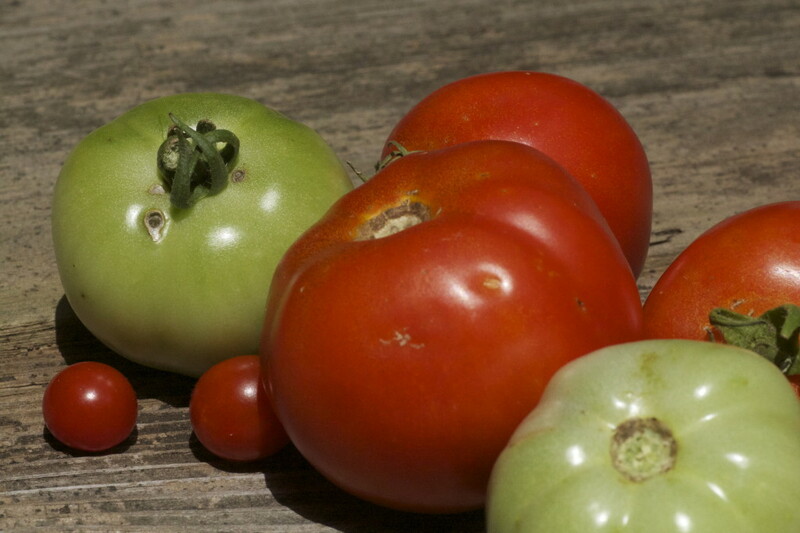 And, along with summer comes tomato season, which is in full swing here in the south. I see all of you posting on Facebook about your abundance of tomatoes – you know who you are. Normally, I’d be right there with you trying to figure out what to do with so much summer bounty, but not this year! We have five tomato plants thanks to my partner, “the farmer”. Our plants are beautiful, vibrant, and healthy, all bearing new blossoms every day. So what’s happening to all of our tomatoes you ask? Squirrels! 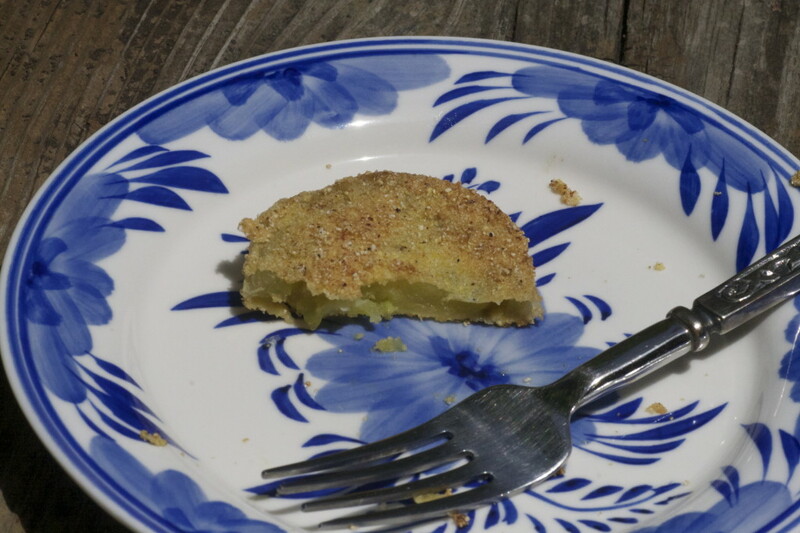 For the past few weeks, we’ve been finding tomato shells laying around the yard. Remnants of the tomatoes that never were. Red bowls of skin with all of their insides scooped out, but now that I’m talking about those empty tomato vessels I can’t find one to show you. For about a week, we wondered who was responsible for the destruction, then I spotted the culprit, a big fat squirrel digging out the sweetness of a giant ruby red tomato. Our squirrels are smart and know a vine ripened tomato when they see one. We on the other hand, are lucky if we get one or two ripe tomatoes per week. It occurred to me the other day, if I’m going to reap the rewards of our tomato plants, then I better get cooking with some fresh green tomatoes. 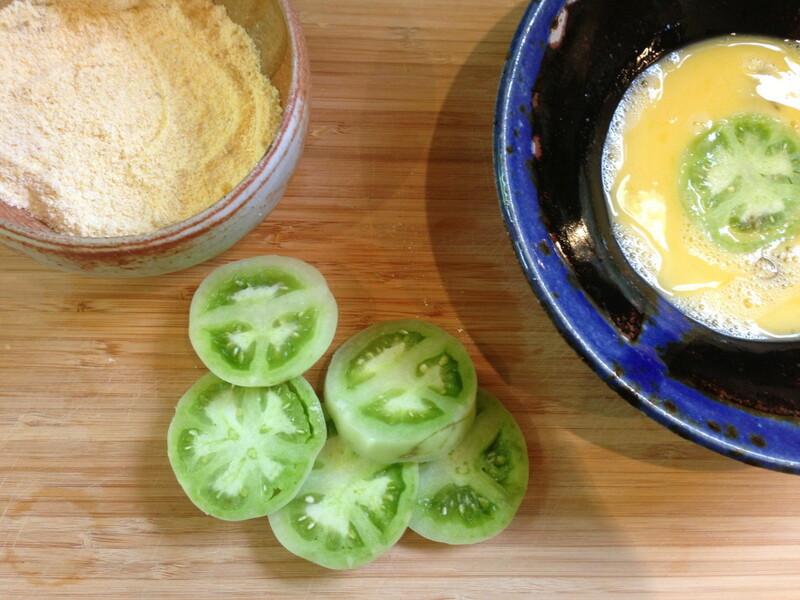 What’s better to do with these juicy green gems than cooking up some fried green tomatoes? Even if you have an abundance of bright red beauties, why not harvest some of those shiny green ones and shake things up a bit. After all, you can only eat so many tomato salads and only so much tomato sauce. 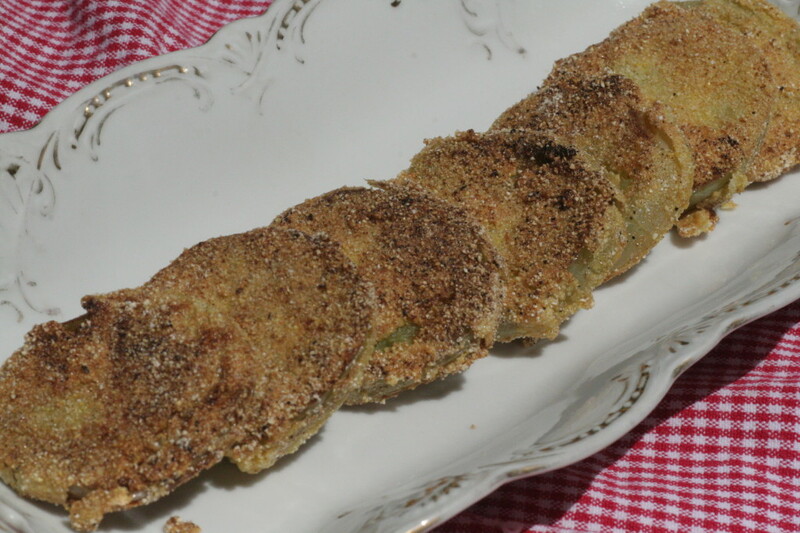 Have a great summer and go fry up some green tomatoes! Combine all of the dry ingredients and mix with a fork or your fingers. In a separate bowl, whisk the two eggs thoroughly. 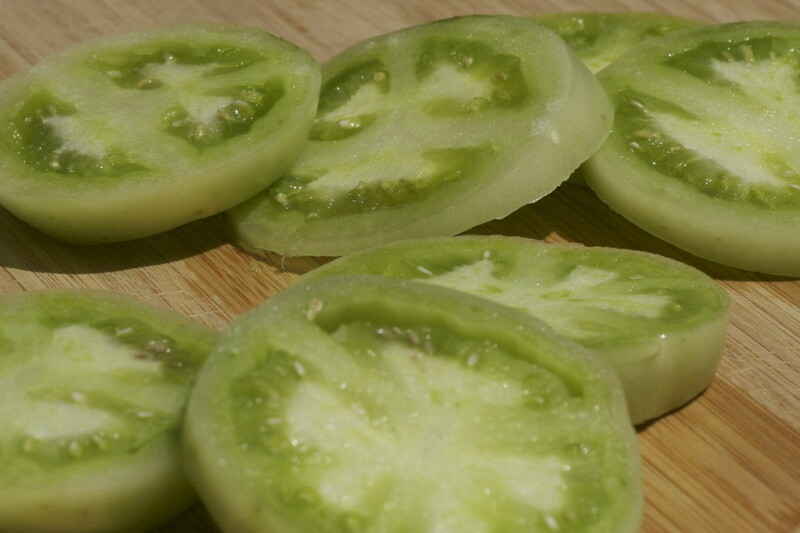 Slice the green tomatoes into quarter inch thick slices. Heat the oil in a frying pan. 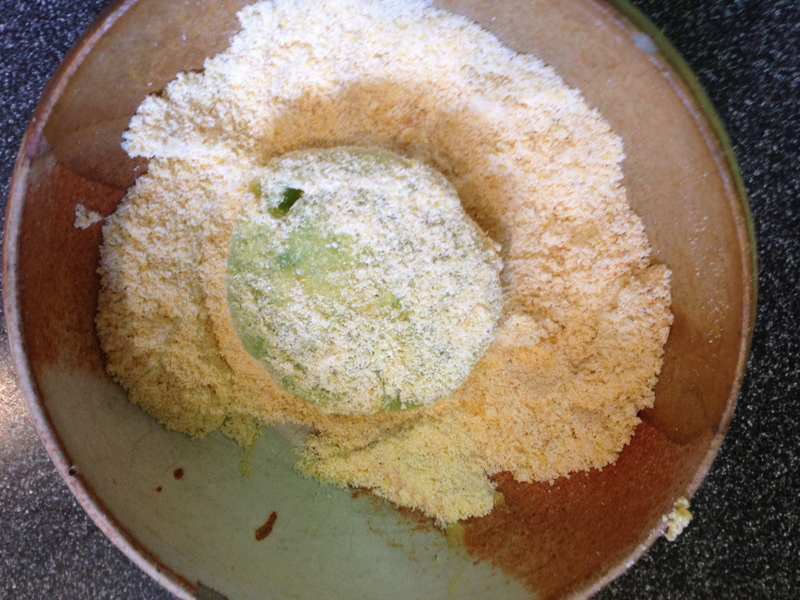 Working with one piece of tomato at a time, coat the tomatoes slices in the egg and then dredge in the cornmeal mixture. 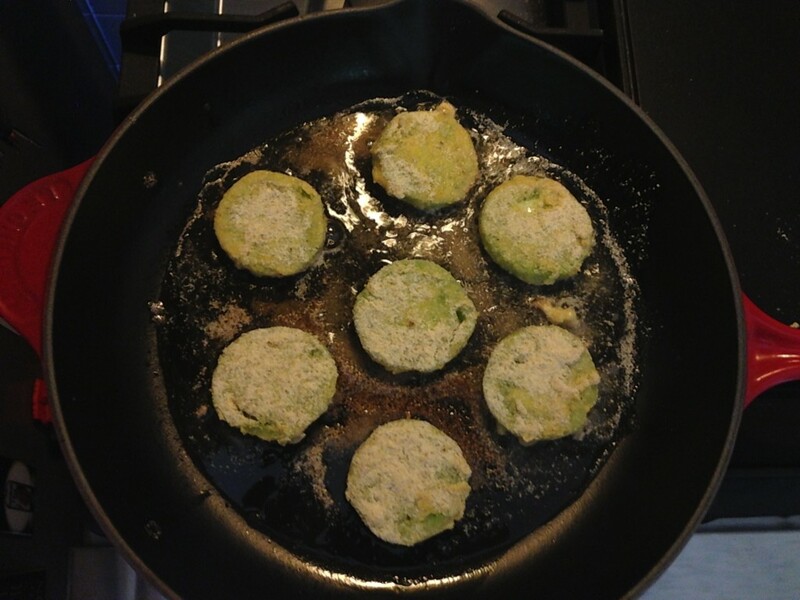 Place the tomato slices into the hot oil and fry on each side for approximately 2 o 3 minutes. They are done when they are golden brown. 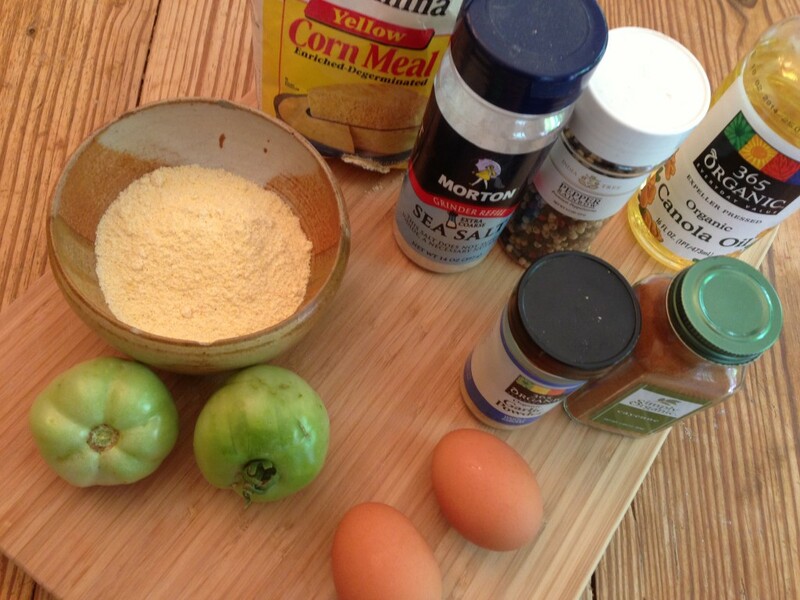 Place the fried tomatoes on several paper towels to soak up any extra grease. Serve immediately. 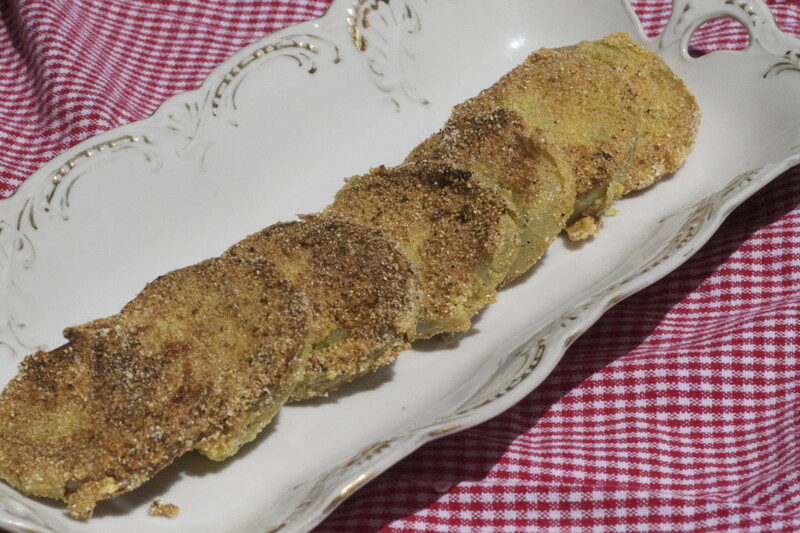 This entry was posted in Recipes, Sides, Tomatoes, Uncategorized and tagged appetizers, Comfort Food, Fried, Green Tomatoes, Heirloom, Sides, Southern Food, Starters, tomatoes, Vegetables, Vegetarian, Vine Ripened. Bookmark the permalink. We are buying the green tomatoes today. We are trying this delicious looking recipe this afternoon. That’s wonderful – let me know how they turn out. OMG, Kimberly would LOVE these. Well then you better fry some up for her! 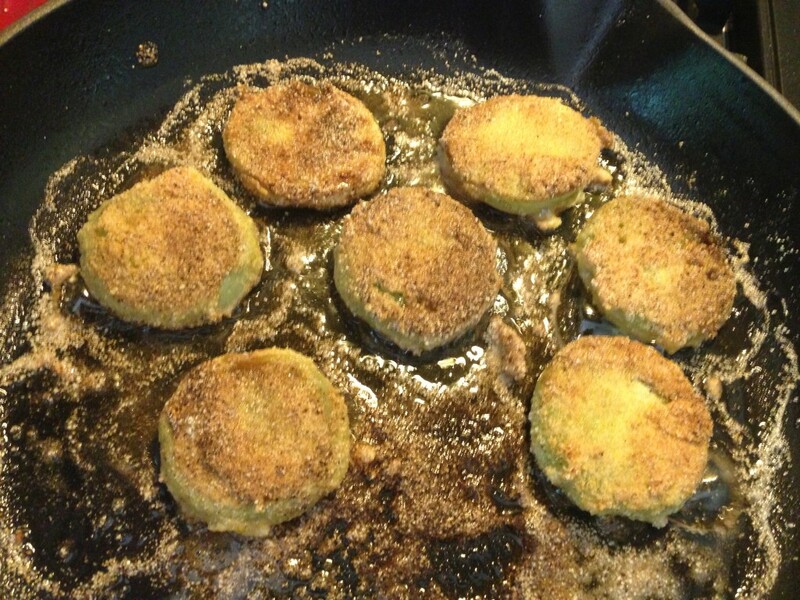 Did you serve your fried green tomatoes on a relish dish? Who said that was a relish dish? Oh yeah, that’s right you did.